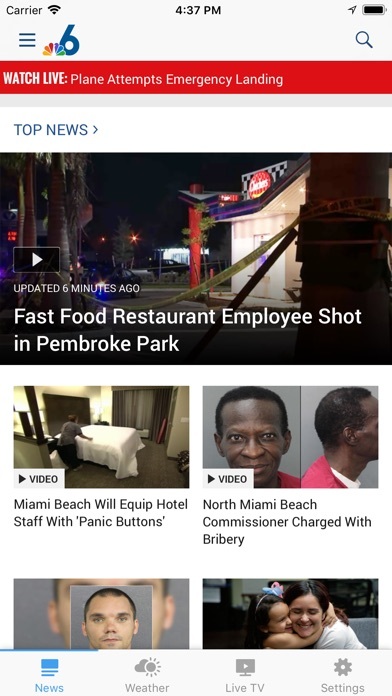 The NBC 6 app connects you with top local stories and weather, breaking news, live TV and investigative journalism. 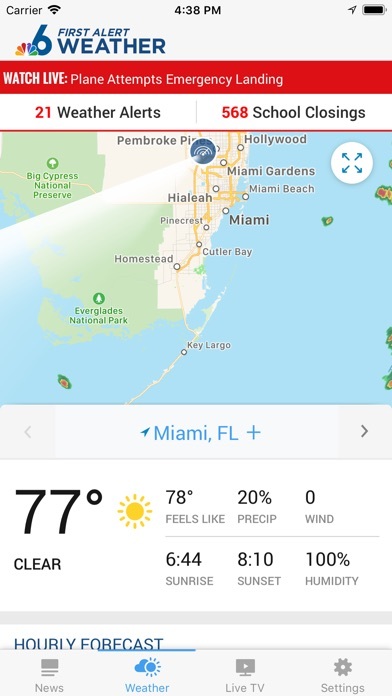 NBC 6 FIRST ALERT WEATHER + Exclusive First Alert Doppler 6000 + Forecasts for your region + Weather alerts based on your location + 7-day forecasts & hourly forecasts NEWS ALERTS & VIDEO + Personalized news alerts + 3D touch news widgets on lock screen + Watch live newscasts, NBC shows and streaming content + Watch video while you read the story I-TEAM INVESTIGATIONS & MORE + Award-winning NBC 6 Investigators stories that get results + NBC 6 Responds team is committed to researching your concerns and complaints and working to recover your money This app features Nielsen’s proprietary measurement software which will allow you to contribute to market research, like Nielsen’s TV Ratings. 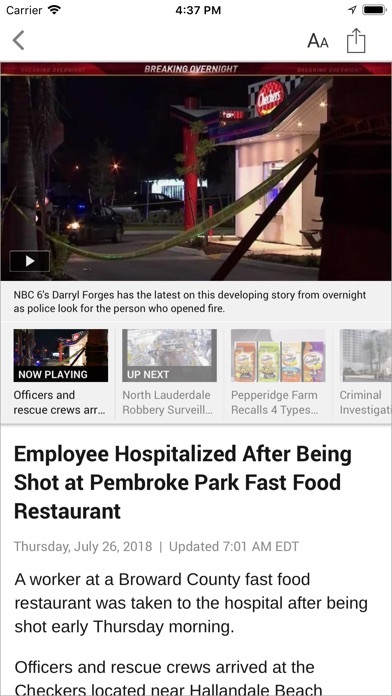 Please see www.nielsen.com/digitalprivacy for more information.